If your bathroom sink is leaking, you don't have to call a plumber. The repair will be easy, and will take less than an hour. Of course, if your drain uses a removable stopper, you can simply replace the stopper. For stoppers connected to a pull-bar on the back of the faucet, though, you will be spending some time under the sink, so clear out the sink cabinet and get yourself a good flashlight. The only other thing you'll need will be channel-locking pliers. Sink stoppers do eventually wear out. Climb under the sink and point a flashlight at the drain tailpiece. You will see a lever arm that sticks out and connects to the pull rod on the faucet by means of a thin plate with several holes in it. Disconnect the arm from the pull-rod by squeezing the metal clamp on the arm and sliding it off, taking the plate with it. Unscrew the nut holding the lever to the tailpiece and remove it. You can often do this by hand, but if not, use channel-locking pliers. When the nut is removed, pull the lever out of the tailpiece. Have a bucket handy in case water spills out of the hole in the tailpiece when you do this. Pull the stopper out of the drain, and inspect the washer. Replace it if it is worn. Replace the entire stopper if the plastic eye on the other end, where the lever fits, is broken. Set the stopper back in the drain, and then go back under the sink and push the lever into the tailpiece. Have a helper rotate the stopper until the lever goes through the hole on the end and the stopper raises and lowers when you move the lever up and down. When the lever and the stopper are properly connected, screw on the nut holding the lever to the tailpiece and tighten it by hand. Push the lever down so that the stopper is fully open, then slide the plate connected to the pull rod onto the lever arm. The plate has many holes, so use the one that best lines up. Finally, pinch the clamp together and slide it onto the arm to hold the plate in place. Pull up on the pull rod until the stopper is all the way down, then fill the sink and verify that the water doesn't drain out. If the pull rod is all the way up but the stopper isn't sealing, try inserting the lever arm into the next lower hole on the pull rod plate. If the stopper is fully engaging, but the sink leaks from around the outside of the tailpiece and into the cabinet below, remove the tailpiece and re-pack the drain opening with plumber's putty. 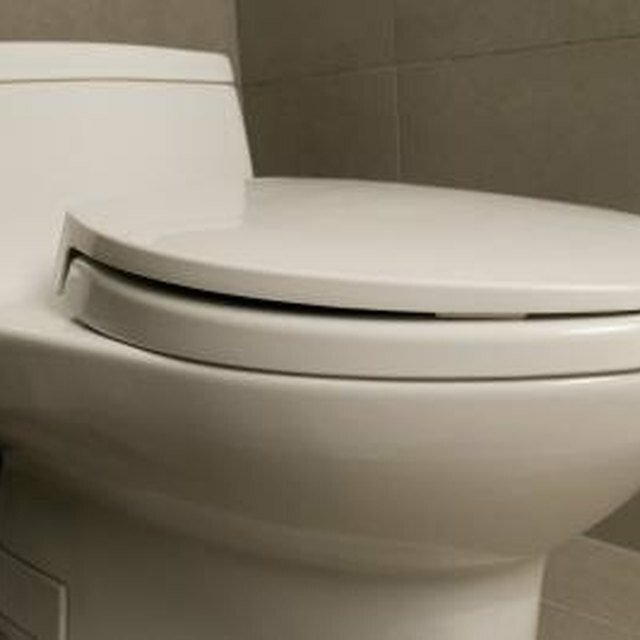 Use pliers to tighten the nut holding the lever to the tailpiece if water leaks from the nut when the sink is draining.